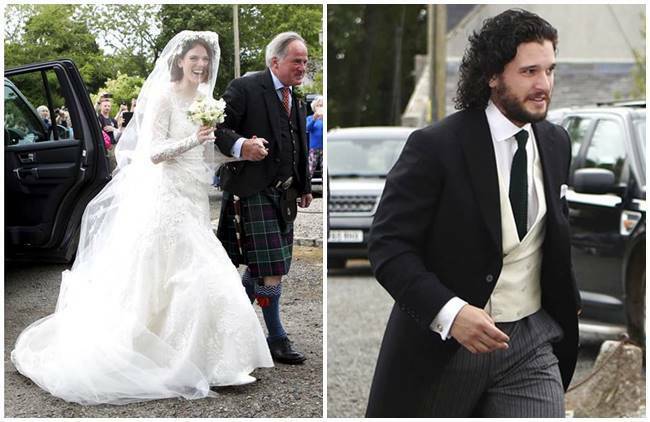 Reel and real-life couple, Kit Harington and Rose Leslie, better known as Jon Snow and Ygritte from the Game of Thrones, tied the knot at a lavish ceremony earlier this year. 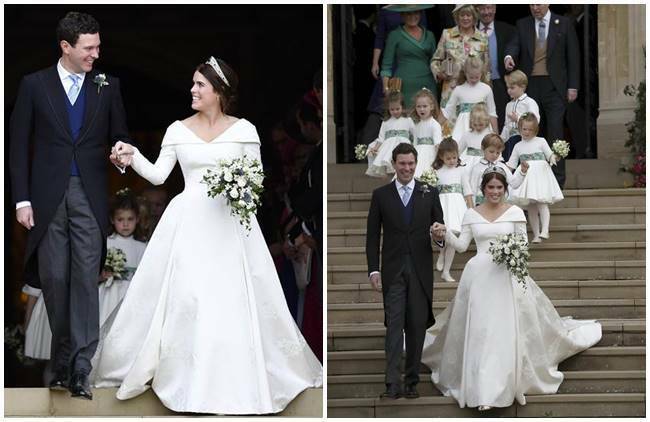 For the ceremony, Leslie picked an elegant Elie Saab gown fitted with flawless lace sleeves, intricate lace overlay, a belted waist and dramatic skirt. 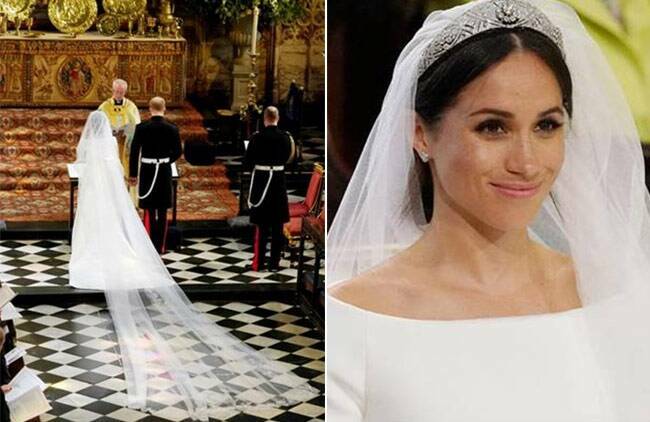 A tiara of white blossoms on the crown of her head added a dainty touch to her attire, and we think was a perfect addition to the classical setting of the wedding. Meanwhile, Harington looked dapper in his three-piece suit with a satin ivory waistcoat and black overcoat that were teamed with a pair of grey striped pants. 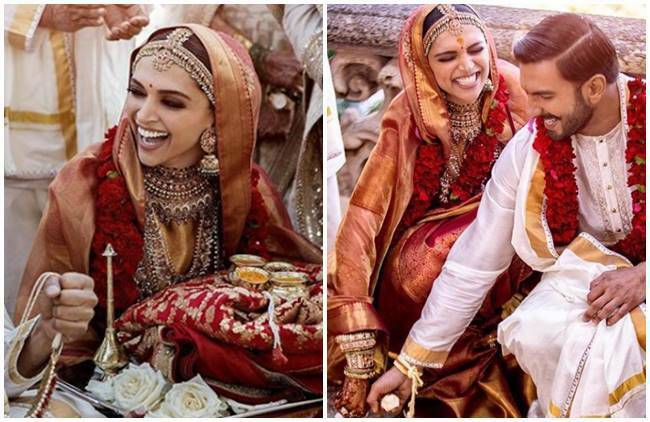 For their wedding reception in Bengaluru, Deepika Padukone wore a golden sari gifted to her by her mother from Angadi Galleria. She accessorised her ensemble with a heavy jewellery set. For the make-up, she went for thickly-lined eyes with beautiful bronze eye make-up, red lips and styled her hair in a centre-parted bun. On the other hand, Ranveer opted for a black sherwani featuring intricate golden embroidery from Rohit Bal. 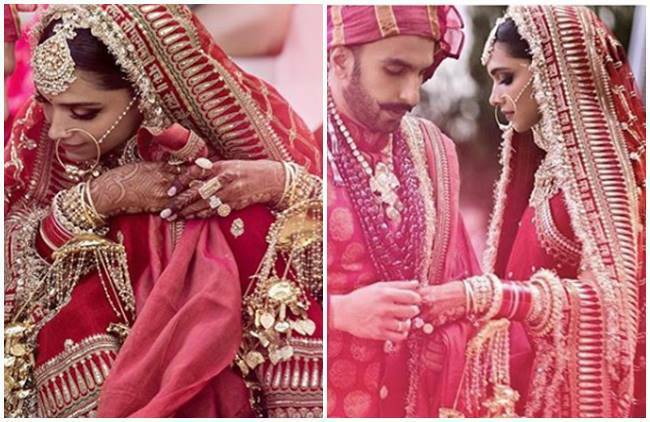 The couple was styled by Sabyasachi. 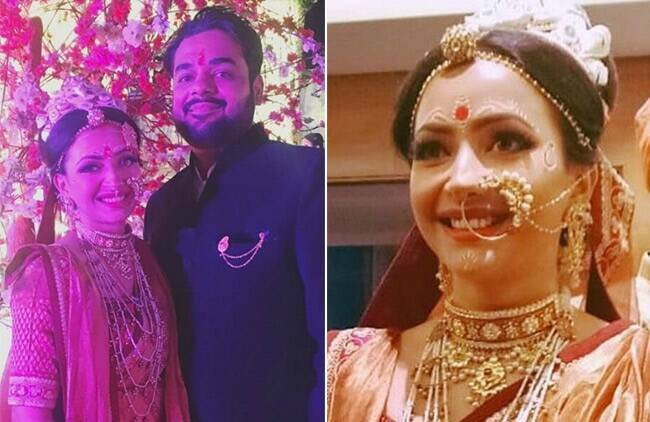 Shweta Basu Prasad, who married filmmaker Rohit Mittal in a traditional ceremony in Pune on December 13 opted for a Sabyasachi sari for her special day. The orange and red hue sari draped in the Bengali Atpoure style was teamed with an embroidered blouse. Mittal, on the other hand, was clad in a white kurta-pyjama that he teamed with a black sherwani. 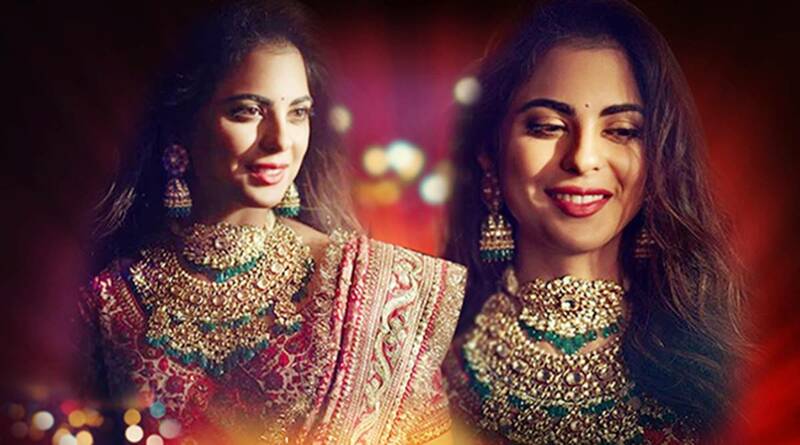 For the reception hosted for the Reliance family, Isha Ambani looked gorgeous in a Sabyasachi lehenga. 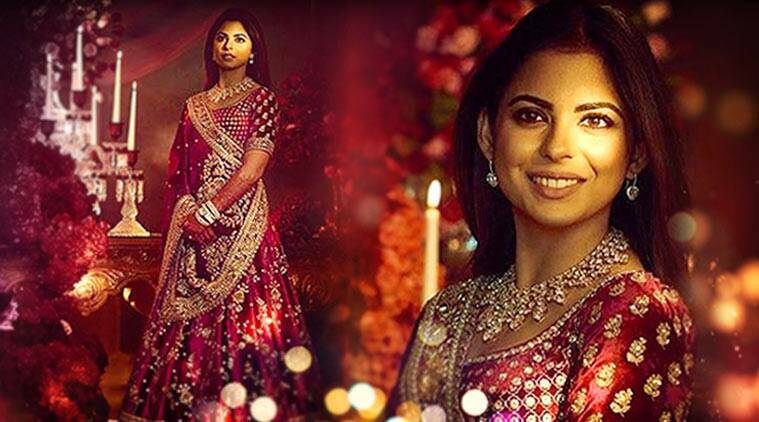 Styled by celebrity stylist Ami Patel, Isha Ambani stunned in a custom velvet lehenga. The outfit was from the designer’s zardosi revival series and was embroidered with dabka, bullion, silver and salma-sitara. 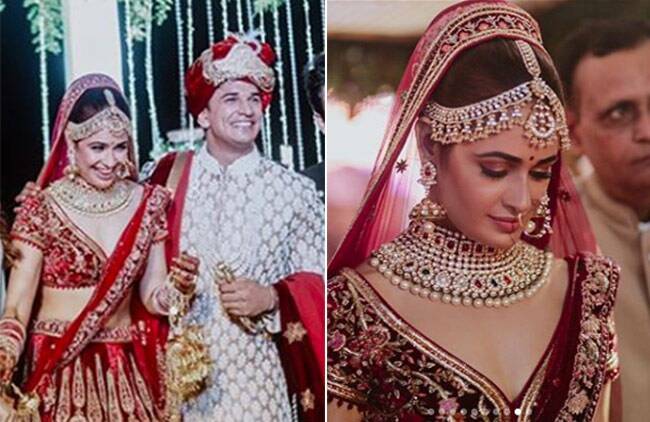 Prince Narula and Yuvika Chaudhary got married this year too. The ex-Bigg Boss contestants who tied the knot on October 12 looked gorgeous in white and red attires. 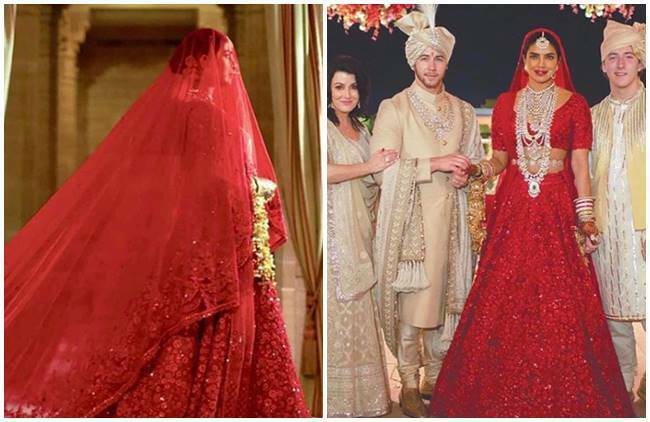 Yuvika kept her look traditional in a stunning red bridal lehenga. Hair tied into a bun rounded off her look well.